As you may know TA Cyclotouriste cranks, which are officially called the Pro Vis 5 went out of production last year. But my French connection has just learned that as part of their 60th Anniversary hoopla, TA will make one last run of these cranks. Naturally I ordered about 25 pair immediately. I don't know if these new cranks will have any special markings or even the exact cost (probably about $225). 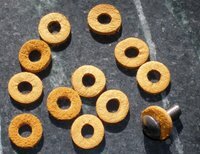 They will arrive in January and we have ordered 165mm, 170mm, 172.5mm and 175mm lengths. In any case, these will obviously be in very short supply so I thought I'd offer any dedicated francophiles the opportunity to reserve them. One reason why so many people like the TA crank is that it has about the lowest Q-factor (width) of any crank ever made. This is because the crank arm is straight and very close to the outer chainring. So front derailleurs that have thick outer plates sometimes hit the crankarm, But all Campy models and many others work. These cranks will work with modern drivetrains, even 10-speed. 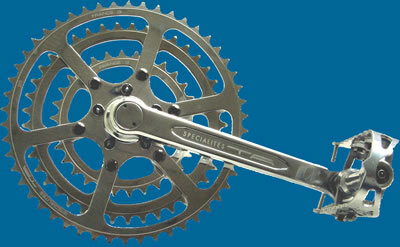 Another reason to use TA Pro Vis 5 cranks is that they can replace a triple crank when set up as a double. You can run 28t and 46t rings with a 12-27 cassette (for example) and have almost the same range as a triple, but with a lot less overlap. 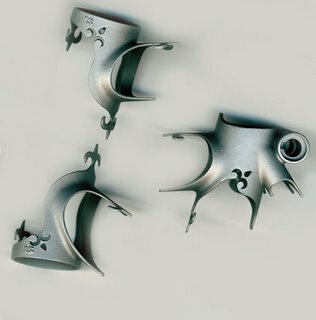 Rings 26 to 68 teeth are available. By the way, TA sells the cranks and rings separately; there are no stock combinations. 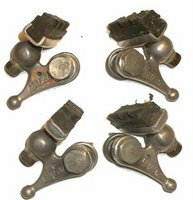 So why did these wonderful cranks go out of production? The big chainrings, above 50t or so, are too flexible for racing. And they are very expensive. Also, assuming we have no trouble with customs, the Ostrich bags should arrive around the end of next week. In the comments to the last post, about Honjo fenders, Ernesto mentions "Rinko". This is the Japanese term for travelling on a train with your bike in order to reach a cycling destination. As I scheme about a trip to Japan I am looking forward to trying rinko. 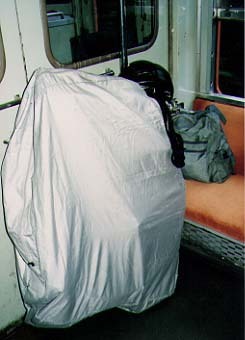 The basic idea is that if you put your bike in a "rinko-bukhuro" (a lightweight nylon bike bag) you can take it with you in the passenger compartment of a Japanese train. Since Japanese trains are fast, punctual, and plentiful, this seems a fantastic way to tour various areas of the country in one visit. 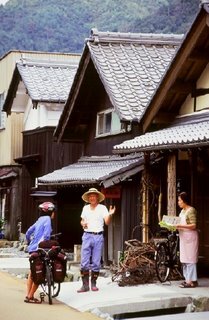 I understand that, once out of the big cities, cyclo-touring Japan can be surprisingly affordable and friendly. This demontableToei might be a better choice. Perhaps Ernesto, or someone else who has toured in Japan, will chime in with further information. Anyone else interested in touring Japan by train and bike? By the way, if you use Mozzila Firefox, and you really should, there is an amazing free extension called FoxLingo that allows you to translate almost any web page into English with two mouse clicks. I don't know how I lived without it. 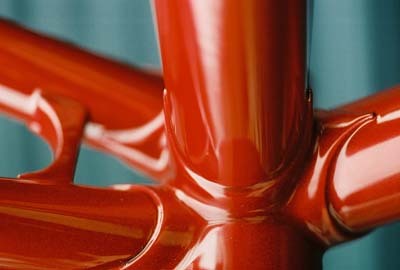 Since 1945 Honjo Koken of Tokyo Japan has produced some of the finest and most beautiful bicycle fenders in the world. 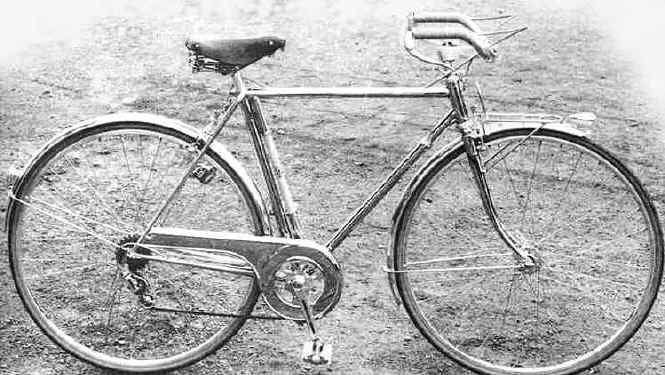 Honjo fenders, as they are commonly called, were the favorites in Vintage Bicycle Quarterly's recent fender comparison. In fact, they are the choice of virtually every custom builder and constructeur today. 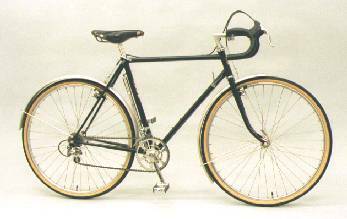 Did you know that there is no such thing as a stock Honjo fender? Each run of fenders is made to order. There are three pages of fender profiles to choose from and at least 10 possible radii. The fenders can be hammered, polished, or painted. Then there is a large variety of mounting hardware. Of course, each run of fenders ordered must be at least 100 sets. 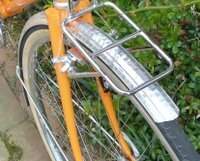 Like all high quality metal fenders, Honjo fenders are not pre-drilled; one could never get a proper fit with a pre-drilled fender. So the customer must mark and drill the holes in each fender to perfectly suit his bike. It's not hard, but it will take about an hour. 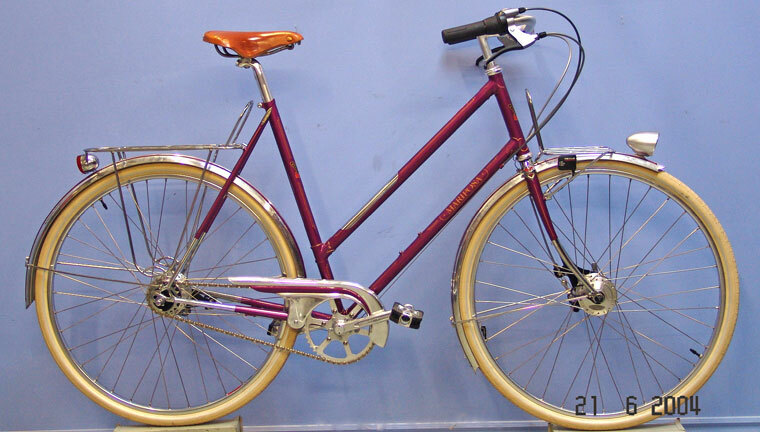 We have ordered a custom run of extra long hammered 43mm fenders for our new Randonneur frame. These fenders will fit many other bikes as well. Unfortunately it'll be several months before they arrive. In the meantime we'll stock a 43mm smooth and a 43mm hammered fenders imported by a parts distributor. All the fenders we sell have complete hardware kits for mounting on bikes with proper fender bosses and on bikes without them. This is important since Honjo hardware is sometimes sold separately. The price of our Honjo fenders is $75 per set. And yes, they really are lighter than plastic fenders. As Yukio Shimamura, President of Honjo, says: "Our goal is to provide people "great cycling life"". 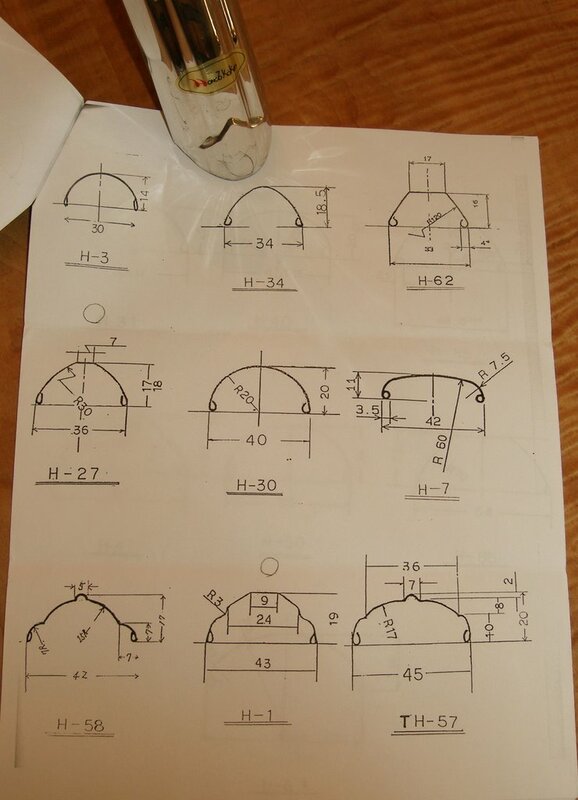 What sort of fender would you ask Honjo to make? One of our favorite spots in Europe is the Tuscan hill town of Montepulciano. 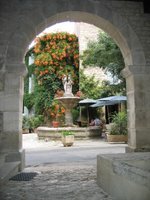 We have spent many weeks there, lodged in Ivana and Giorgio's 14th century inn, the Mueble Il Riccio. In the morning we cross the square to our favorite cafe for cappuchinos. 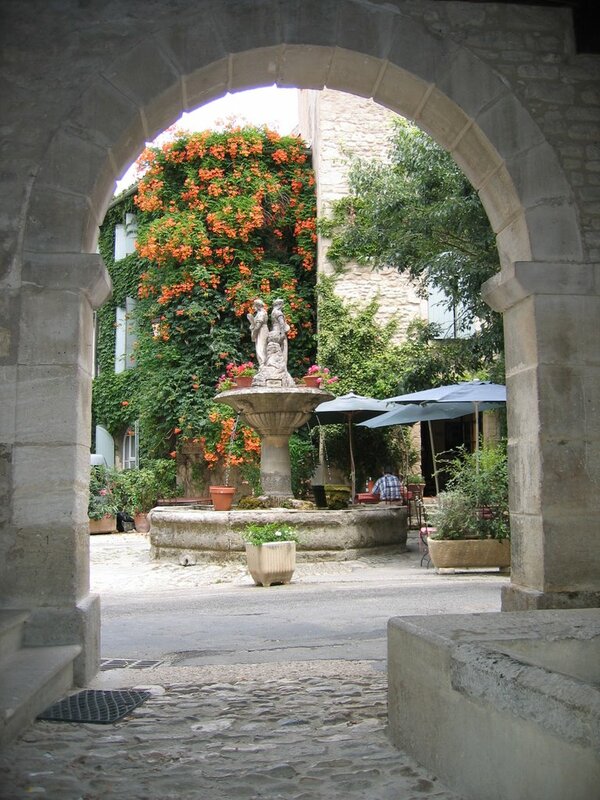 The days are taken up touring the surrounding vineyards, fattorias ( farms), and villages. And, in the evening, we walk a few blocks down the hill to our favorite Osteria where the owner and Miche (the cat) introduce us to the simple food grown and raised at the fattorias in the valley. Then it's a stroll around town and a glass of wine on the roof-top terrace above our room. 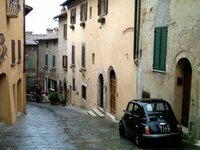 Among the reasons we love Montepulchiano is that it is closed to non-resident car traffic. 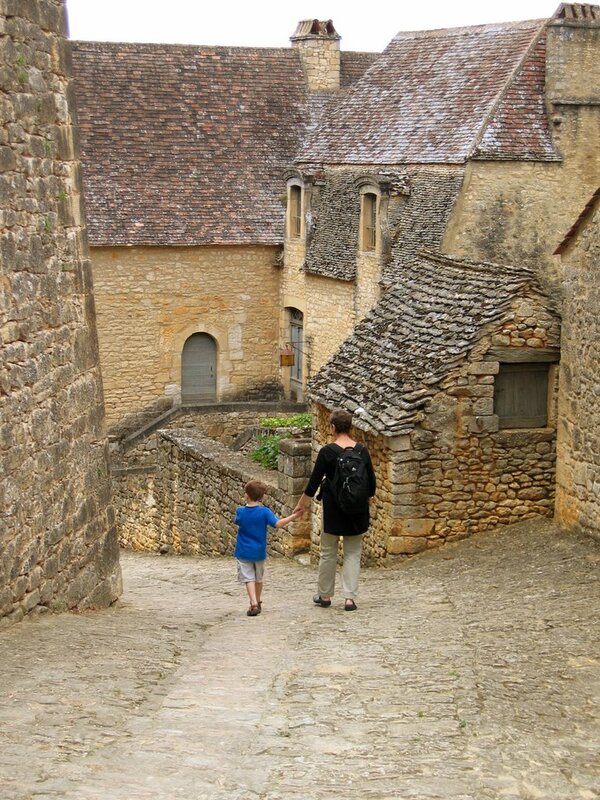 The sound of the town is conversation, laughter, singing, and music (from the music school), not the din of traffic. But Montepulchiano is not unique in this; thousands of European towns have closed their gates to the motorcar. Even car dependant cities are closing streets and whole neighborhoods to motorized vehicles. In car choked Athens I have walked block after block on streets open only to bikes and pedestrians. London has imposed an onerous tax of about $13.50 per day on anyone who wants to drive into the city. In the Dutch town of Groningen some 60% of people travel by bike thanks to wise long term civic planning. The benefits of car free areas, and even whole town and cities, are enormous and as more people see them there is a call bar motorized vehicles from even more areas, and to build new neighborhoods designed primarily with the pedestrian and bicyclist in mind. Noise, pollution, maintenance, and danger decrease. While health, a sense of community, and aesthetics improve. There are even economic benefits as retailers and other buisness people, who often initially oppose such plans, find that shoppers flock to such areas finding them far more pleasent than the mall or box store. If you want to find out more about car free cities, you might try the Carfree.com site. James Howard Kuntsler's Geography of Nowhere and Home from Nowhere are shocking in their clarity. Architects Andres Duany, Elizabeth Plater-Zyberk, and Jeff Speck, who are credited with restarting the new urbaninst movement, wrote Suburban Nation, a well thought out work on post modern civil planning and architecture. With irrefutable evidence of global warming and peak oil, this may be a good time to follow the lead of the Europeans and the New Urbanists. And if I may make a political comment: the idea that there is any doubt in the scientific community about the reality of both global warming and peak oil, is the biggest lies ever told by certain politicians. When someone ask me why I so love Montepulciano, I tell them that it is the most civilized and most advanced place I have seen. The growth of civilization is measured not by the rush toward the bigger and the more technological, but by the wisdom to choose what technology is appropriate and what should be limited or even discarded. On that limestone ridge upon which Montepulchiano sits, there has been a settlement since at least Etruscan times, and probably well before. The Tuscans here have had thousands of years to build a civilization and to decide what is truly valuable. Among the things they most passionately preserve are streets for people, good wine, locally grown food, music, art, and, of course, the bicycle. Over the next couple of days we'll add a bunch of products to the specials section of the store. Most of these items are things I ordered as samples and decided not to stock. 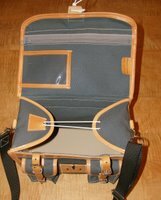 There are some city handlebars, Berthoud bags, lights.... There will also be few items we wish we could carry, but are no longer available. We plan to start carrying a small selection of VAR tools in the shop section. 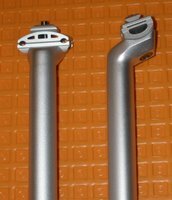 VAR tools are regarded as among the very best bike tools available and have been hard to get in the US. 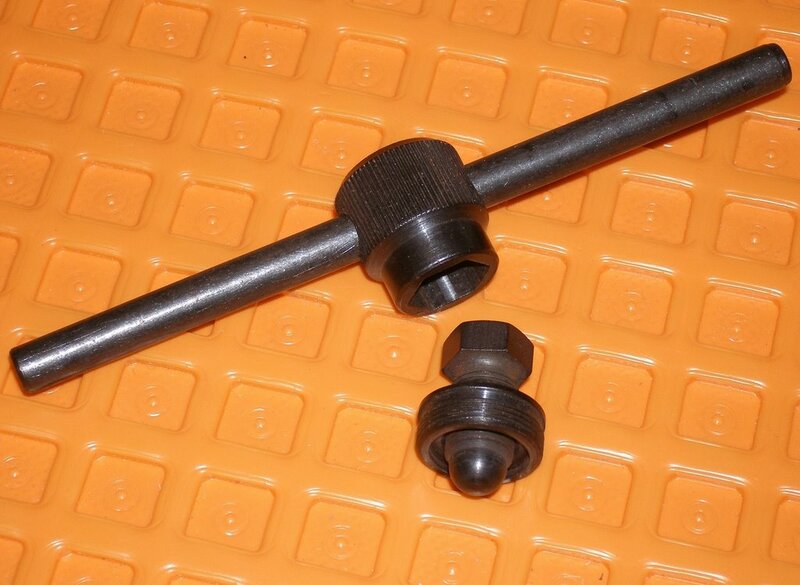 We have a nice, but very economical model #22 tool for 22mm cranks (this fits almost all modern cranks) at only $7.50. We also have the two sided professional tool that fits 22mm and 23mm (TA) cranks at $25. This is one of the few TA sized tools available. We can also special order Stronglight removers. 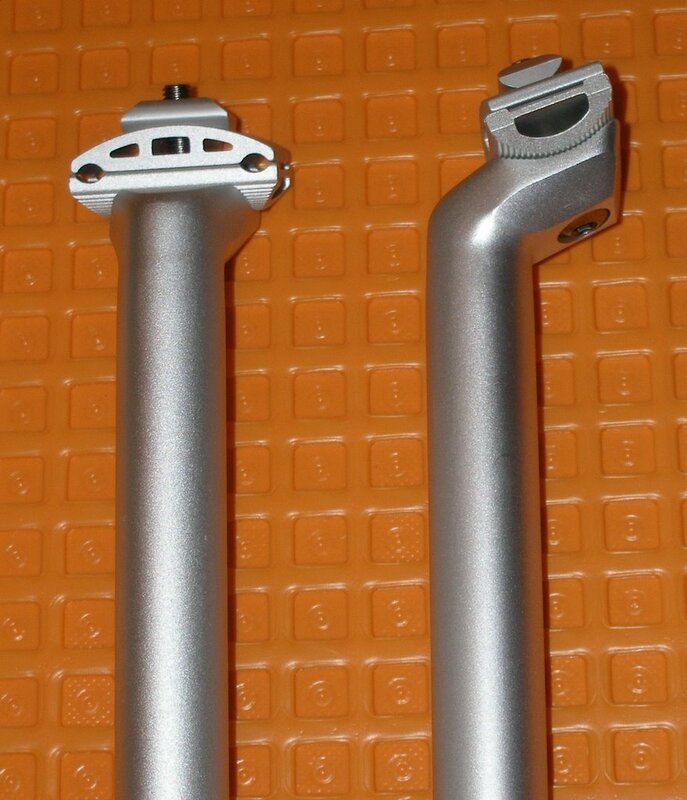 I was pleasantly surprised to see the new version of the Kalloy Uno seat post. It is finished in a matt silver with no logos. It is very light and has an oval interior shaft profile for strength and a good bit of setback. The styling, while modern, is very attractive. At $22 this has to be one of the all best time seat post bargains. Another nice new item is the Salsa tubular steel water bottle cage. It's a bit more traditional looking than the Delta cage and very nicely made. The bike on the left, called the "half-racer" is made by Welt Trad: http://www.weltrad.de/ The front brake is interesting. I'd love to ride a fixie with that geometry. They also make some more traditional city bikes. Waffenrad has a neat virtual museum of old Austrian, German, and Dutch bikes: http://www.waffenrad.at/waffenrad/index.htm Check out the bike on the left with all the leather luggage and accessories. 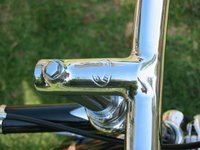 And how about a collection of fender ornaments, like hood ornaments, but for bikes: http://www.der-schutzblechreiter.de/ They are very Teutonic. I'll post more sites later; right now there are orders to be shipped. Would you buy a "half-racer"? I might. And remember, Google language tool is your friend. There are some bike parts that should never have gone out of production. If we had the tooling to make them, I'll bet we could go right on selling them. On top of my list is the old Herse cranks. 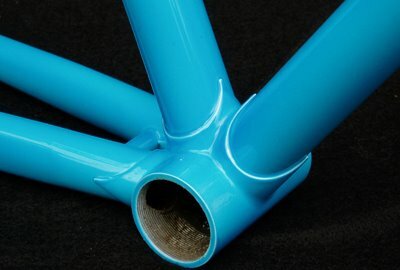 Or how about these Sugino improved reproductions? 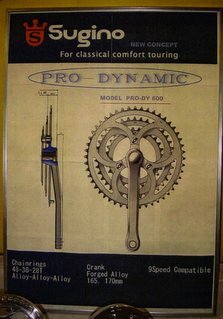 I'm not sure that the Sugino "Pro-Dynamic" cranks were actually ever made, except as prototypes. 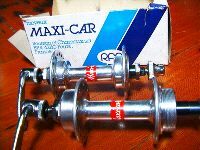 The second part on my list are Maxicar hubs. Those legendary French hubs that only need service about once every 60,000 miles. The tooling for those is easy to find; MaxiCar is still in business, but they say the hubs are too hard to make. I'd love to see the Mafac "Kathy" or "Driver" brakes again. And it would be very cool to be able to buy a Nivex derailleur today. We definitely need the original TA handlebar bag brought back, but that is something we're working on right now. Finally we need a source for 5mm leather washers so we can properly mount fenders, racks, and other accesories. Oh, wait a minute, Velo Orange is making those starting today. They'll be in the shop section of the store this afternoon. What parts would you like to see made again? Okay, all this city bike talk has got me thinking. And I have a plan, sort of. 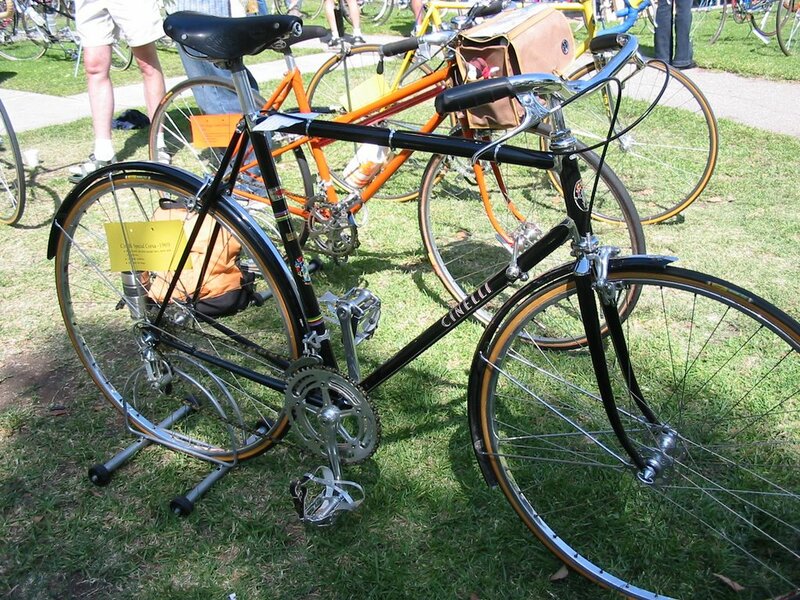 How about having a few frames built here in the US based on a classic Herse city bike. Like the Rando frame, they would be built by a very good builder and cost about the same. 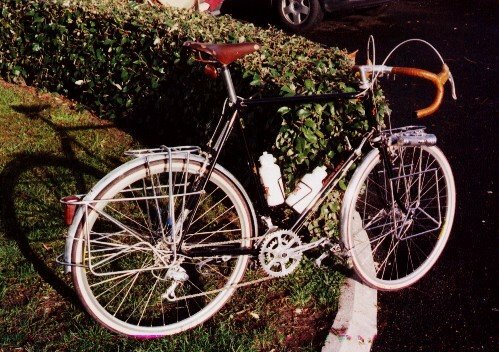 there might be a both a regular and a mixte version. If five or so folks would commit to buying them I'd get started. Later I would try to get a run of them made in Asia. I am thinking that they should be 26" wheeled in smaller sizes and 700c in larger. They could use either in-hub or sidepull brakes. They would have a larger version of the front rack. Gearing would be internal and a chain guard would be included. A chaincase, assuming I can make one, would be optional. 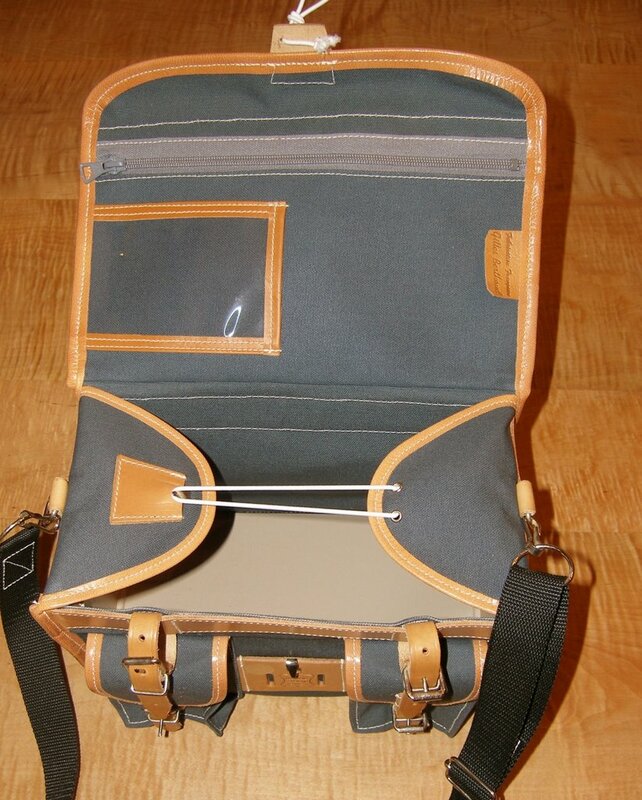 The tubing might be less expensive that that used in the rando frame and the color would be limited to black or tan. As for lugs, are the crazy lugs on the left completely over the top. I usually don't like fancy lugs, but these are somehow amusing. The other photos are of a lovely city bike built by Curt Goodrich for a gentleman who been in the bike business for a long time. The bike's owner has graciously allowed me to post these photos. Of course this begs the question: What about fillet brazing? The city bike I mentioned has generated a lot of e-mails and comments. So I thought we should post a few photos of nice city bikes. As always, click on the photo to enlarge it. The Cinelli photos below were sent by Neil Berg. Please note the integrated handlebars. And you thought only the French thought up this stuff. Internal gears, just a rear derailleur, or the usual? 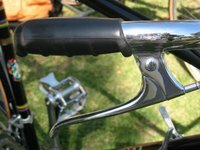 TTT type bars or French bars? Disk brakes... no, never mind. 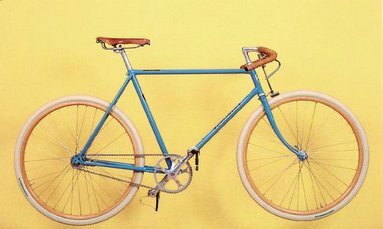 Hub brakes or side-pulls? I'll post more photos later today. And these are the colors of our handlebar covers, chainstay protectors, and toe clip leathers. From left to right is the new macchiato, the new espresso, black, honey, and white. The espresso really doesn't show well on a monitor; it's a very rich dark brown. If I were the sort of chap who drove a Bentley, instead of a beat-up Mini Copper, that would be the color of my leather interior. But for a Maserati, it would be macchiatto. Click to enlarge. Oh yes; one more thing. We will offer 650b wheels on the rando frame for $50 extra, unless you take a frame smaller than 52cm. In that case they are standard. With the first small batch of Randonneur frames sold, I can't help but think of Velo Orange's future. 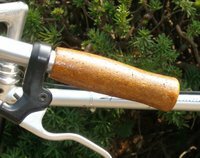 It seems that we can sell a made in the US, custom geometry silver brazed frame for little more than, say, a Rambouillet or a Heron. 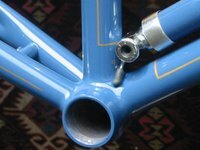 This is a frame with some of the nicest and best made lugs available, DuPont Imron paint, and every braze on imaginable built by a very talented builder. 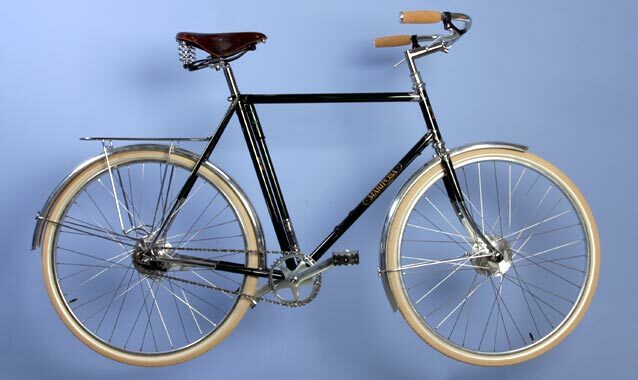 And there are custom made racks and fenders available. I think this raises the bar. So what else could we build? I'd like to see an elegant city bike in our catalog. 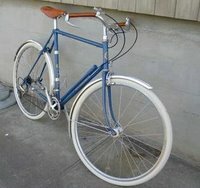 It would not be a heavy porteur, but a real upscale city bike. 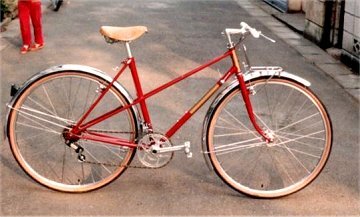 It seems some people confuse porteurs with the superbly refined bikes like the Herse Champs-Elysees and Gentleman models. These are bike one could ride to work in a three piece suit and wing-tips, old leather attache perched on the small front rack. And we will need a "Camping" bike with 650b wheels, super stable geometry, and big racks front and rear. This would be a bike that could amble across a country or two or bomb down a fire road. What do you think we should build? The Ostrich bags are booked on a ship due to arrive on 8/27. If there is no trouble with typhoons, pirates, or customs, we'll have them a few days to a week after that date. 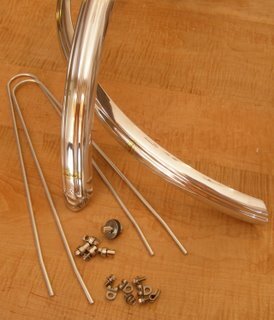 We now stock Nitto Noodle and Classic handlebars. There are two new shades of elk hide bar wraps, light brown and honey. We're also using a new thinner and narrower tape that makes them easier to install. We'll post a photo soon. Cork grips for city bikes are available for $10. A shellaced version will be $18. 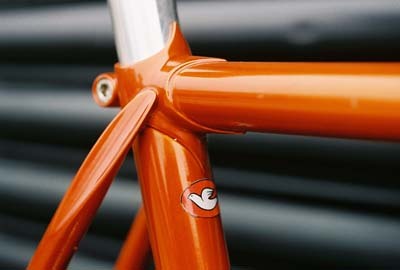 The first batch of Randonneur frames are sold out. The next batch are available at $1450. And we have decided to add three optional colors, French blue, orange, and black. Pssst.... Wanna buy a frame? Each frame is made to measure based on rider's body measurments, weight, and preferences. 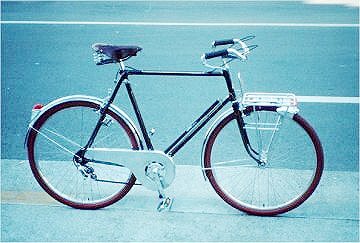 Extra long Honjo fenders made for this frame are planned. A full custom version of this frame with choice of lugs, color, tubing, and just about anything else will also be available. A production version is planned for next summer and the cost will be about $1050. These will be made by a very well respected builder in Japan. The images on the left are of frames by Johnny Coast, the builder of VO frames. Too often we mistake a bike that's built to accept any number of different components, wheels, racks, and drivetrains for a good all around bike. But that sort of frame is more often just a compromise. A good all-arounder is best built with very specific components and accessories in mind. 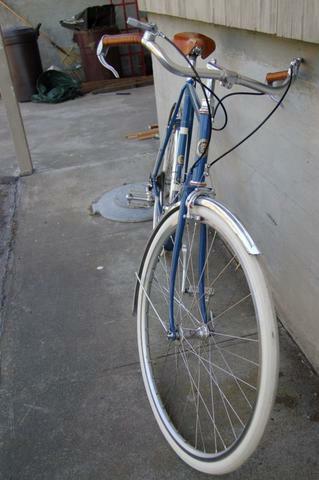 I've been riding my Ebisu a lot lately; it's about the only bike I ride anymore. With it's 30mm tires, wide gearing, small front rack, and mix of old and new components it can do almost anything. I ride it fast on paved roads, enjoy the gravel-like towpath on the C&O canal, I potter over the brick and cobble streets in our 350-year-old town on it, and I can go inn-to-inn touring. All this and I never change anything on the bike, other than occasionally hanging the larger handlebar and saddle bags. The trick to a good all-around machine is in building both the frame and the bike with great care and as an integrated unit, not as a collection of interchangable parts. I've been thinking about this a lot as we plan the Velo Orange randonneuse frame. It will be a frame designed around very specific parts so it can do a lot of things well. 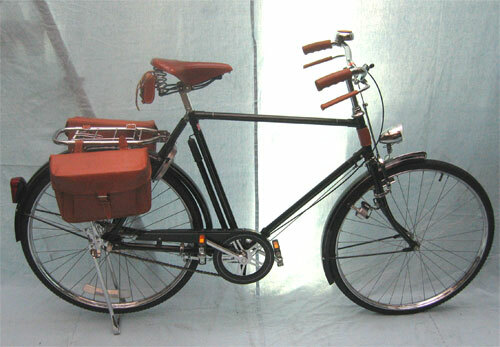 Being a moderately low trail design will force the rider to use a handlebar bag as the primary piece of luggage. Big rear panniers will compromise handling. That may seem like a limitation, but this geometry will also make the bike more stable and more precise in corners. The tires for our bike should be between 26 and 32mm wide and not pumped up too hard; go too wide or too narrow and the bike won't ride or handle as it should. The fenders should be 43mm Honjos, which we will stock. Sure, other fenders will fit, but they won't look quite as nice. The front rack will be small and made especially for this frame. 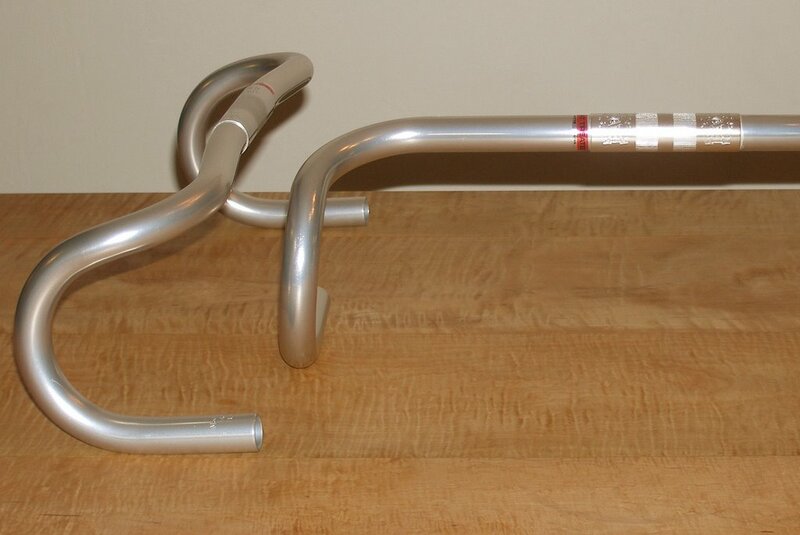 The current rear rack will also fit, but a slightly smaller and lighter version will be made just for this frame. The recommended brakes will be such that good modulation, not simply maximum stopping power, is considered. If this sounds like a constructeur bike, well, that's the idea. The plan is to start by having a few semi-custom prototypes made by a first class US builder. 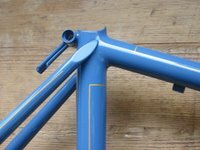 These will not be inexpensive frames, but by making them all almost identical the price will be well below that of a full custom bike. Interested? Eventually we'll try to duplicate the geometry and features in a production frame. A production constructeur bike? Will Herse and Singer be rolling over in their graves? Oh yes, one final detail: they will be silver with orange lettering. UPDATE: The cost for the first few prototypes will be around $1200. You get custom fit and tube selection in a handmade silver brazed frame with Kalavinka lugs.